So we can take care of the train, the accommodation and the visas. But chances are you are going to need flight tickets and we can help you with that as well. In fact we are experienced in constructing multi-stop flight itineraries that encompass the Trans-Siberian Railway whichever direction you are travelling. Most of the well know ‘round the world’ flight itineraries such as the One World, Star Alliance and World Journey can be used with all our trips. 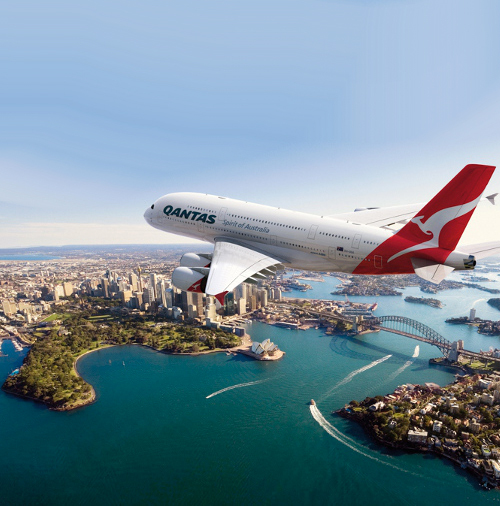 For example one of the most popular multi-stop tickets sold out of Australia is the ‘One World Global Explorer’ fare. This is a ticket offered by a group of airlines that include Qantas, British Airways, Cathay Pacific and American Airlines. Using this ticket with one of our trips would mean flying Qantas from Australia to Hong Kong, Shangahi or Beijing perhaps. Then after arriving in Moscow or St Petersburg you could catch onward connections with British Airways onwards into western Europe and beyond. A ‘One World’ that would let you do this along with numerous additional stops in Europe and then either North America, South America or Africa would start at $3299 plus airport taxes and fuel surcharges. If you are simply requiring straight round trip flights either into Europe and out from China (or vice versa) with the train in between then these fares start at $1650 plus taxes/surcharges. Please check with us. A quick word of warning. If you are intending to travel on the Trans-Siberian railway, it would be wise to just check out the situation with flights with us beforehand, even if you are using frequent flyer tickets or you have your own travel agent. Many people make the mistake of assuming that as long as they have a flight into Europe (London or Frankfurt perhaps) then it will not cost much to fly into Moscow or St Petersburg to catch one of our trips. In fact flights from western Europe to Russia are not particularly cheap (few of the famous low cost carriers operate to Russia) and is is usually best to try and include Russia on your international ticket.